The 21st Century Cures Act has been passed by the House of Representatives with a vote of 392-26. One Democrat and twenty Republicans voted against the bill. The legislation will now go to the Senate for the vote, which will take place early next week. The legislation was passed by the House last year, although the bill failed in the Senate in July 2015. Numerous revisions have been made since last summer and this time around the 21st Century Cures Act is expected to be passed by the Senate. However, not unanimously. Some senators are certain to vote against the legislation, including Senators Bernie Sanders (I-Vt.) and Elizabeth Warren (D-Mass.). Both strongly oppose the changes that have been made to the legislation to appease the pharmaceutical industry. The main purpose of the $6.3 billion bill is to advance medical innovation. A sizable chunk of cash will be given to a number of programs introduced by the Obama administration. NIH will receive $4.8 billion in funding over the next 10 years which will go towards programs such as the cancer moonshot research project, the Precision Medicine Initiative, and the BRAIN Initiative. The legislation will change the way pharmaceutical products and medical devices are approved by updating the Food and Drug Administration’s (FDA) current approval process. Many view the current FDA approval process as out-of-date and long winded, which is preventing new and effective treatments from being provided to patients. The legislation will speed up the process of bringing new drugs and medical devices to market; however, there are fears that by doing so patient safety may be compromised. Critics of the legislation believe the Act favors pharmaceutical companies and that the FDA’s powers will be eroded. As a result, it is possible that ineffective cures and medical devices may come to market. The legislation requires the FDA to develop a program to evaluate new drugs based on “real world evidence” rather than solely relying on clinical trial data to evaluate new indications or uses for drugs. Pharmaceutical companies will be able to submit observational studies, safety monitoring data, or summary-level reviews as proof that a drug is suitable for a new use. In the three years since the bill was first introduced it has been subjected to numerous additions and changes, including provisions to change the allowable uses and disclosures of protected health information under the Health Insurance Portability and Accountability Act’s (HIPAA) Privacy Rule. The change would have seen medical research come under healthcare operations, which would have allowed patients’ PHI to be shared or disclosed for medical research without patient consent first being obtained. However, those changes were dropped from the current version of the bill. 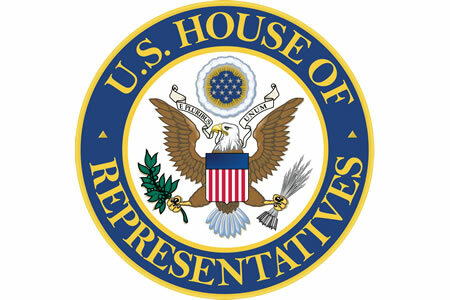 The legislation also calls for the Office for Civil Rights to issue new HIPAA Privacy Rule guidance to covered entities on the “existing permitted uses and disclosures of health information by health care professionals to communicate with caregivers of adults with a serious mental illness to facilitate treatment.” This includes clarification on the sharing of mental health and substance abuse information with close relatives.